Stay up to date on the many events Ethics In Tech hosts and directs here. Learn more about the expansive world of Big Tech morality and join the discussion in person. 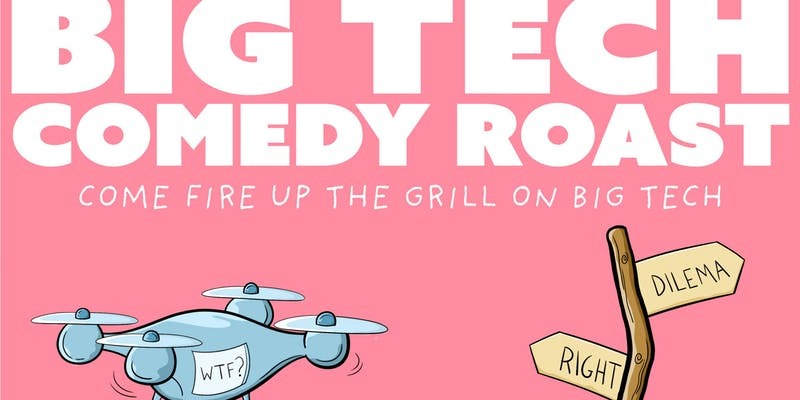 Come fire up the grill on Big Tech & laugh at our local tech firms! Comedy acts interspersed with talks from NSA Comedy Host, former Amazon executive, and entrepreneur Vahid Razavi, author of Ethics in Tech, or The Lack Thereof and Age of Nepotism. Friday Dec 14th, 6PM Doors open for networking, Show starts at 7:00 PM at the Internet Archive. 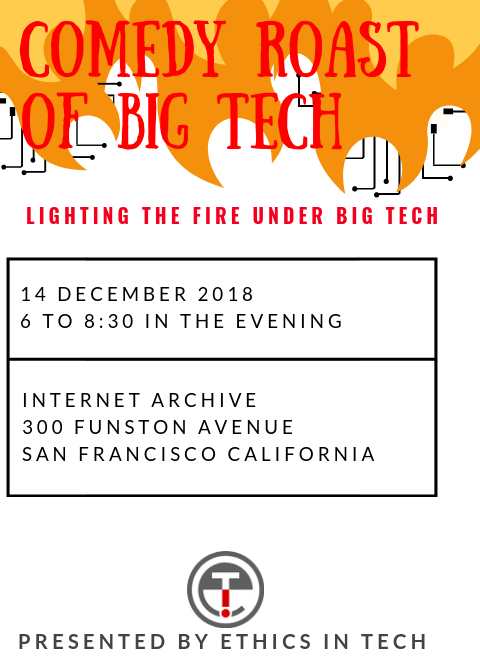 Join us for a night of comedy as we light the fire under big tech and bring light to moral issues in the tech world.